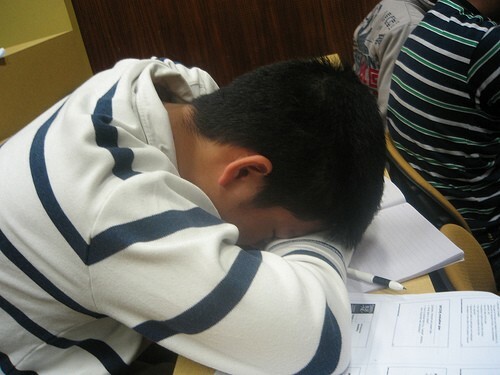 UK Teachers Asked to Watch for Hung-Over Students! Teachers in England are going to be on the lookout for hung-over kids as public health officials struggle to reduce binge and underage drinking. The govt. will ask teachers in England to work the "front lines" in the battle against underage binge drinking and alcohol abuse. Under a proposed action plan, to be unveiled Monday, teachers in England will be instructed to be on the lookout for hung-over students in class, and to refer regular drinkers to counseling services for treatment and early intervention. The action plan comes as England tackles its serious binge drinking problem – a problem that health officials say has gotten worse in recent years. The number of underage drinkers that needed medical attention after binge drinking has increased by a whopping 40% in the last 6 years. Other proposals include teaching children about the dangers of drinking earlier, starting at as young as 5 years old, down from the 11 years old at present, and working with shopkeepers to prevent the sale of alcohol to underage buyers. Deputy general secretary of the Association of School and College Leader, Martin Ward, said that teachers could quite easily spot those kids with drinking problems in classrooms, but he wasn't sure what action teachers were expected to take, saying, "While teachers give advice to young people already, they wouldn't want it turning into another duty and another set of bureaucracies."